There are some things we simply can not cruise without, things like a passport, money, tickets, clothes and a toothbrush. Perfectly normal items that will be found in everyone’s luggage and hand luggage. Sometimes though we find ourselves packing things that we really do not need to take on holiday with us, or need at all for that matter, and it’s those things that today inspire my blog. My friend has a habit of cruising with her dogs toys. I assure you I am not lying but if I am honest she doesn’t actually pack them herself, her dog (Tiny) tends to do it for her without her knowing. 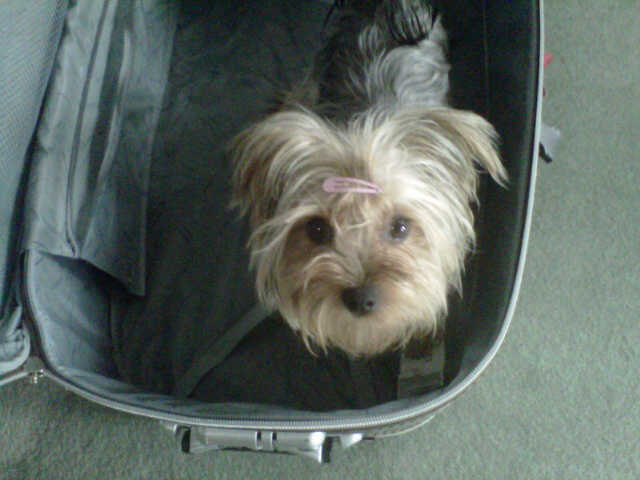 Twice she has unpacked and found a half eaten tennis ball in the bottom of her suitcase. When we cruised in November last year the same thing happened again, little Tiny had lovingly placed her favourite ball in my friends suitcase, but what we didn’t realise was that she was in for another treat. My friend celebrated her birthday on board and had brought a small gift bag with her that was selotaped at the top, to stop her peeking! It was her gift off Tiny. On the day of her birthday she opened the bag and found a nice sweater inside along with….wait for it…..a gravy bone! 🙂 For those of you who don’t know what a gravy bone is, it quite literally is just that. It is a dog biscuit in the shape of a bone but it is covered in gravy. 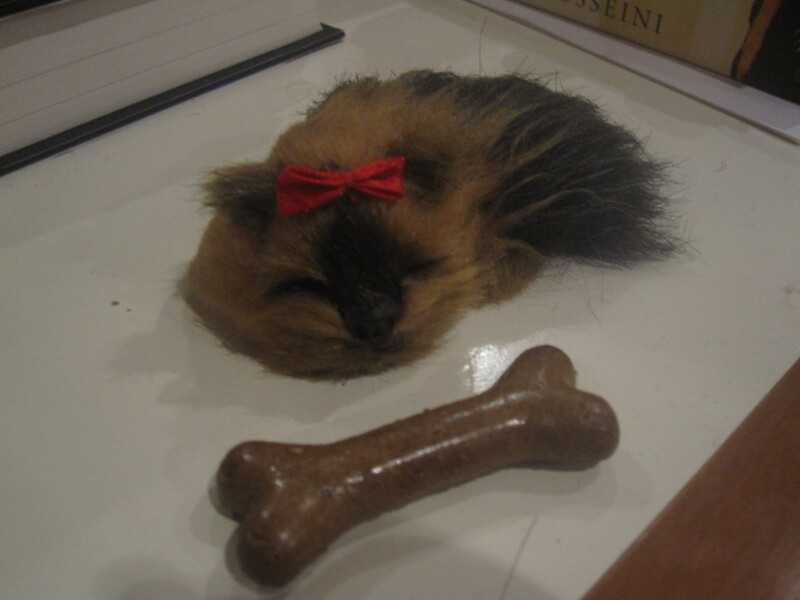 We were both hysterical with laughter as my friend had in Valencia purchased a very small toy version of tiny from a gift store, we sat her with pride of place next to her bed and gave toy tiny the gravy bone to protect until she could return it to the real Tiny. I am sure you have all realised what I am getting at, but if not ill just come right out with it. I want to know what weird and wonderful things you sometimes end up taking on holiday with you?